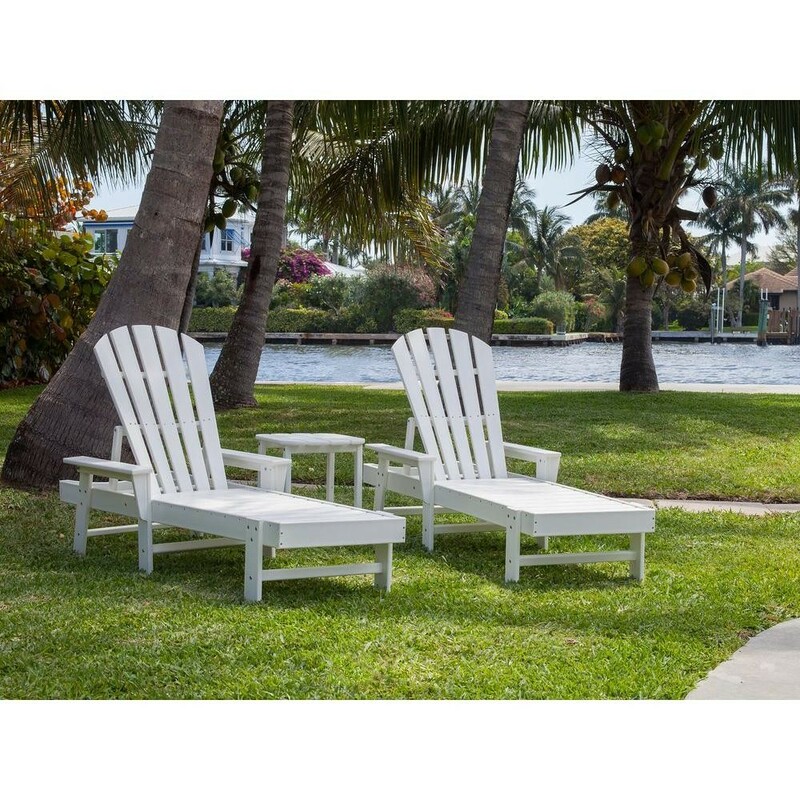 3 piece Adirondack chaise lounge set with two loungers and a side table. 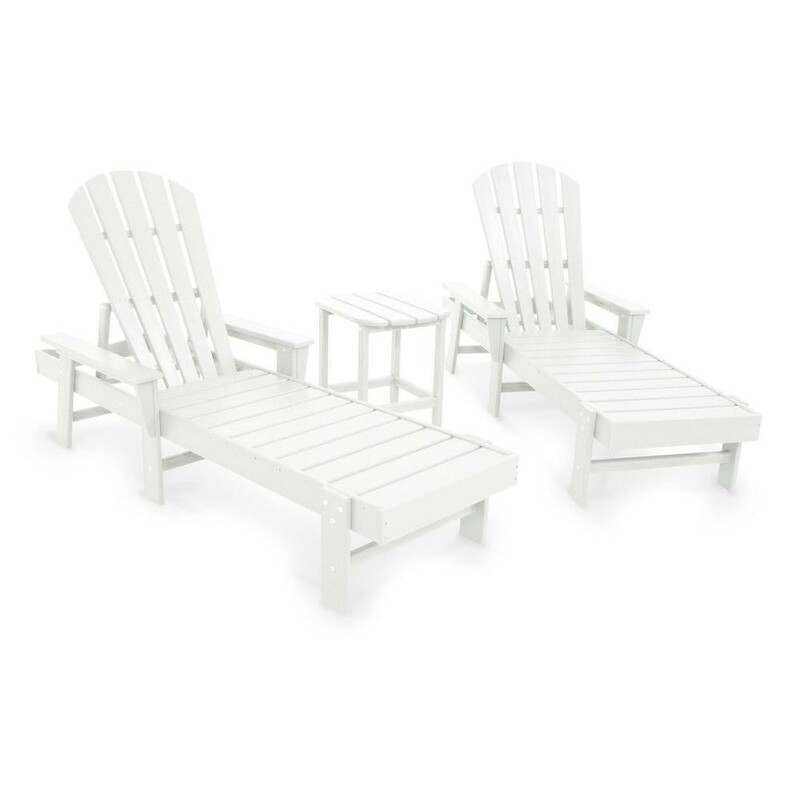 Poolside pleasure can be yours with the help of this South Beach 3 Piece Adirondack Chaise set. This set includes two chaise loungers with Adirondack style backs and a matching patio side table. They're great out on the yard, out by the pool, on your deck or anywhere else where you might want to relax, nap, and play outdoors. Each chair looks like it's made out of painted wood for a classic look and feel. However, you won't have to maintain these outdoor furniture pieces like you'd maintain wood, because they're made out of POLYWOOD, a recycled HDPE plastic proprietary synthetic lumber blend designed to withstand the elements. 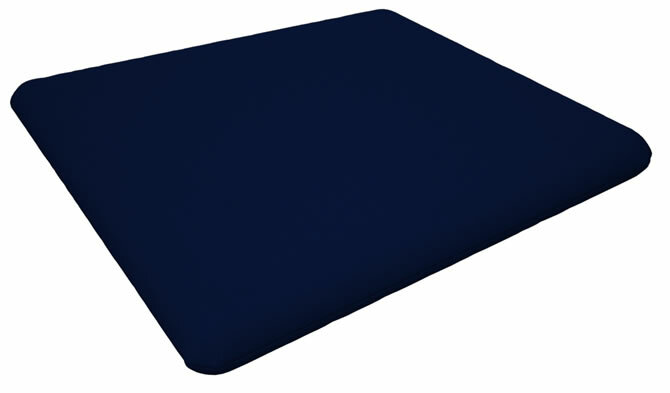 That means you're never going to have to paint, stain, or sand anything in this set, as it already resists water, chipping, and fading from UV rays. It's all put together with commercial grade 18-8 stainless steel hardware which resists corrosion, as well. Whether you're at the pool, at the beach, or in the garden these chairs are designed to take whatever you throw at them, and can last for twenty years or more. Each chair is designed to take up to 250 pounds of weight, too. 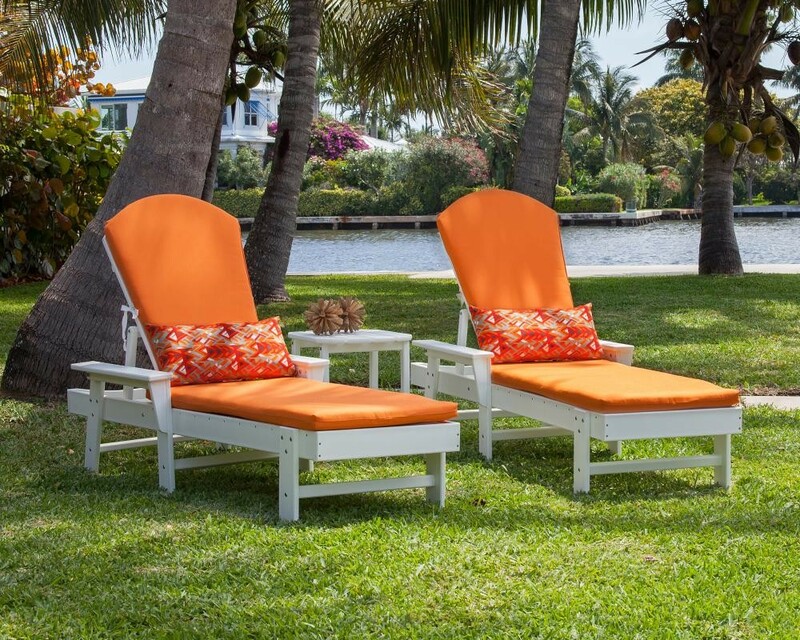 Order your Adirondack Chaise set today and enjoy.